Chances are if you follow me on social media you have seen pictures of my girls with their nose buried in a book. Both of my girls love nothing more than to curl up with a great book and be transported to another place way off in their imagination. They come by it honestly – I am not sure how many hundreds of books I have read in my lifetime! Reading is not only a great way to stir children’s imaginations, but it is also a fantastic way for kids to learn and explore at their own pace. It is also a great way for kids to connect by sitting down and reading and discussing books together with their loved ones. This is why I love companies like Usborne Books & More! Usborne Books are the most exciting, engaging, and educational books on the market today. Twice recognized by Forbes Magazineas one of The 200 Best Small Companies in Americaand three times by Fortune Magazineas one of America’s 100 Fastest Growing Small Companies, Usborne Books & More has been bringing home the love of reading for over 30 years. Independent Usborne Books & More Consultant Jessica Compton sent in one of their best sellers for inclusion in this year’s Diva Holiday Gift Guide. The Human Body is part of the Shine-A-Light Series that lets you shine a light behind each page to see something new. 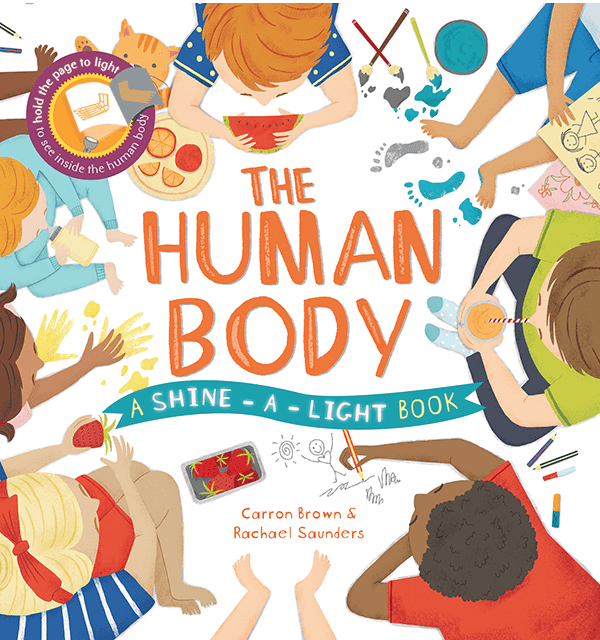 The Human Body Book tells all about the way that the human body works – and when you hold a light behind each page you can learn even more! The light will show muscles flex, watch as food travels through the digestive system, and take a peek at the skeleton holding you upright. Even though my daughters are a bit older and know most of these lessons, they still enjoyed getting to hold the light up to the pages to see what they would discover! Whether you are shopping for your own home or want to give the gift of reading this holiday season, Usborne Books & More has something for every child on your list. You can also host an Usborne Books & More Party to earn free and discounted products, or join Jessica’s team to build a business making a difference in the lives of others by encouraging a love of reading, friendships, personal growth and development, plus so much MORE! Check out Jessica’s website to learn all about how you can get involved with Usborne Books & More!